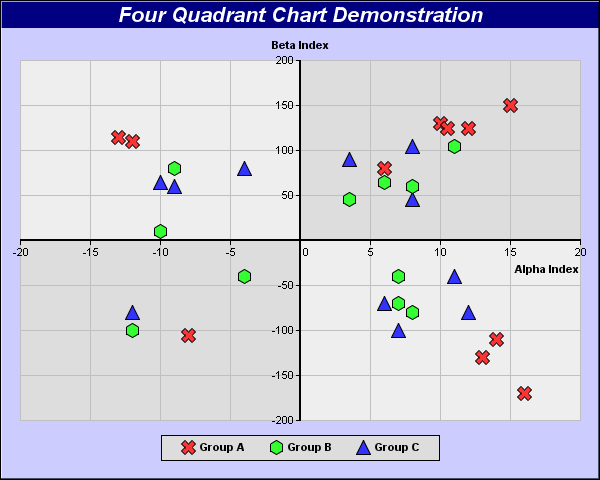 A scatter chart showing all 4 quadrants in the XY plane, with alternative background colors for the quadrants. 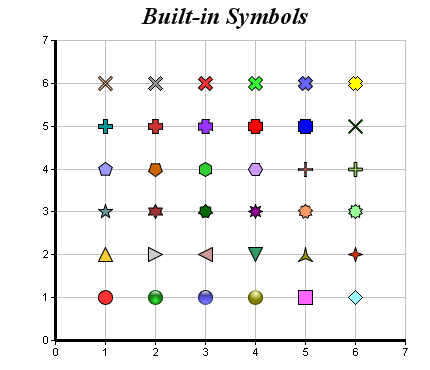 A scatter chart designed to demonstrate ChartDirector's rich set of built-in symbols. Apart from built-in symbols, ChartDirector supports using arbitrary polygons (including concave polygons like the star shape) and custom images as symbols. 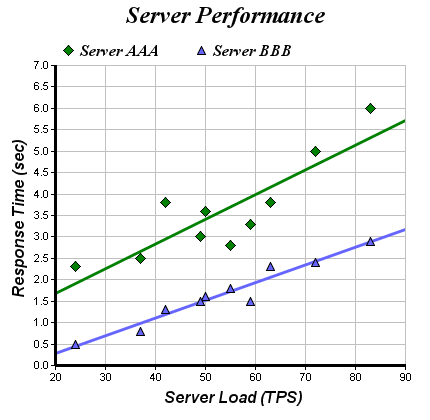 A scatter chart with trend lines. This chart is created as 4 layers - 2 scatter layers and 2 trend line layers. 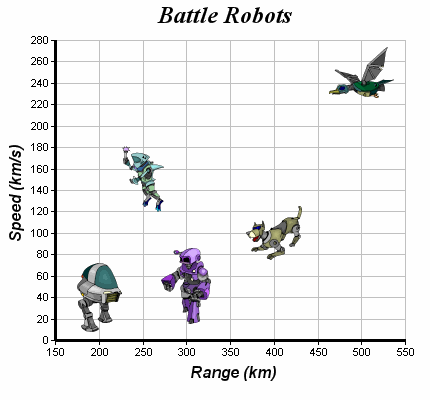 A scatter chart using custom images as symbols. 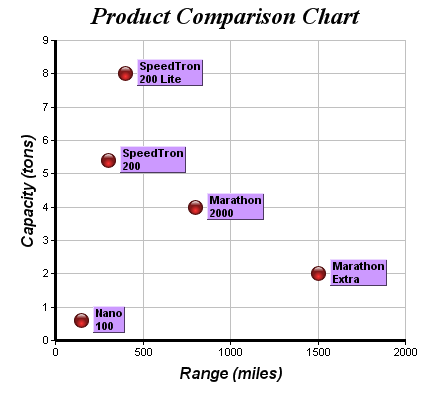 A scatter chart with custom data labels at every point.